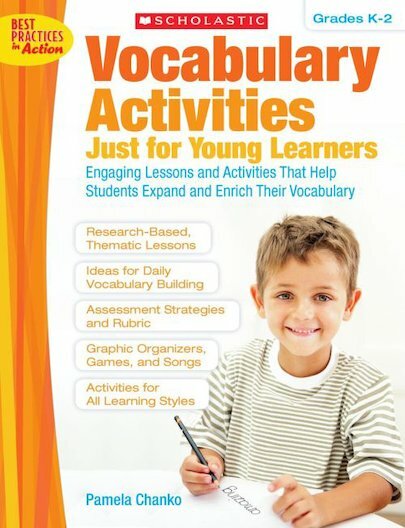 Help children boost vocabulary—and learn hundreds of new words—with these creative, research-based lessons and activities that are just right for young learners. Using graphic organizers, games, puzzles, songs, and manipulatives, children learn and practice rich, descriptive vocabulary related to favorite themes, such as All About Me, Weather and Seasons, Transportation, Friends and Family, and the Five Senses. For use with Grades K-2.